We offer private tatami rooms for group bookings up to 36 guests. Sono offers the freshest produce beautifully presented to tempt the most discerning palate and visual senses, complemented by an excellent international wine selection and Japanese Sake from our cellar. The tranquil surroundings with a texture featuring natural elements of wood, stone and water, all serve to enhance the overall your dining experience. 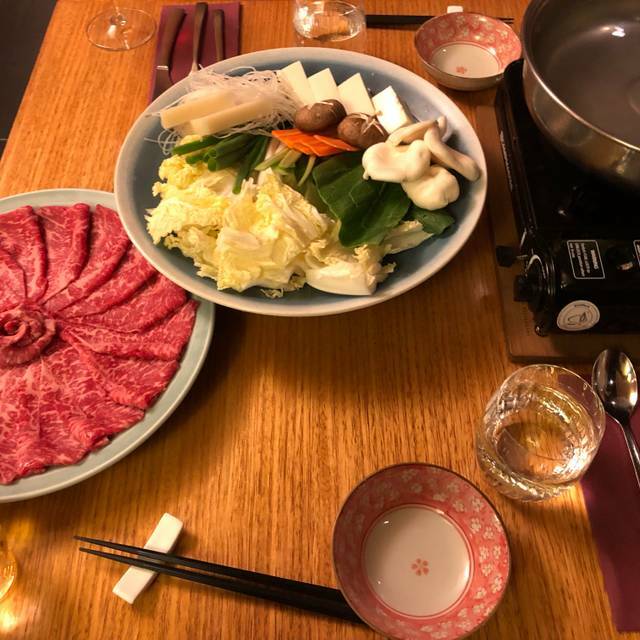 The restaurant's tasting Course with matching wine selection is exceptional or for a change of pace, we offer Teppanyaki, where interaction with the masterful chef is totally encouraged. 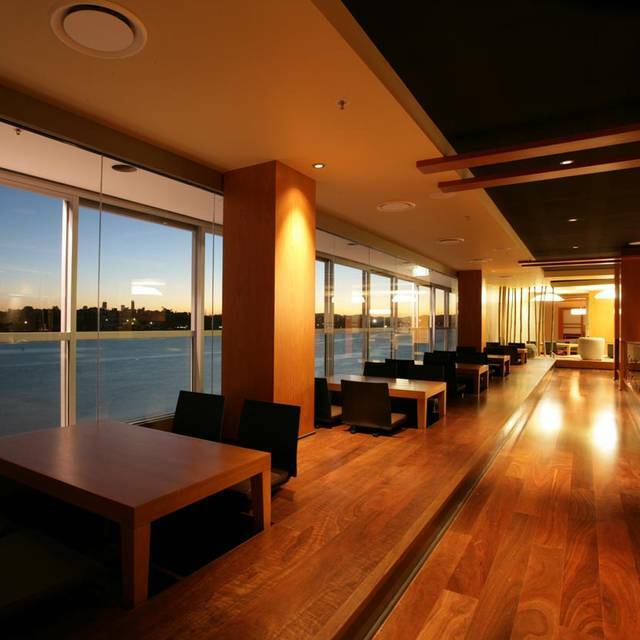 To enjoy an intimate dinner for two, our Japanese style seating by the window with river views is an ideal choice. We also offer Gift Cards so that the ones near and dear to you can also enjoy what SONO has to offer. 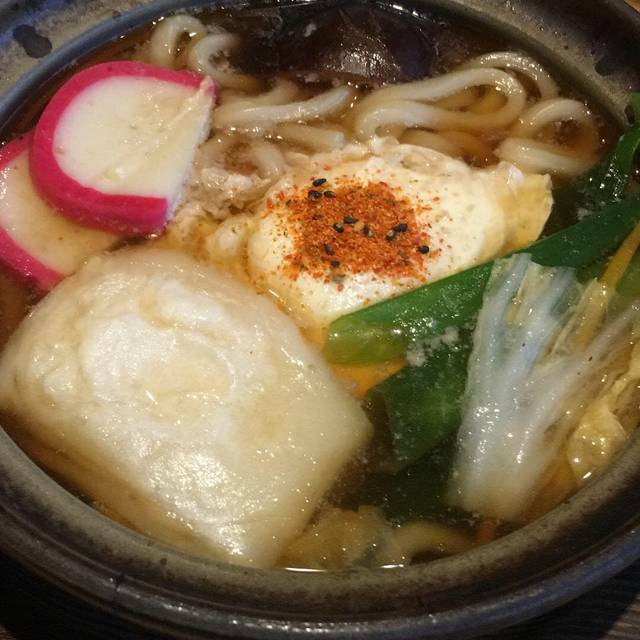 For a dining experience like no other, let Sono transport you to another time and place. Allow our friendly staff to provide you with our traditional service to make your dining experience at Sono an event to remember. 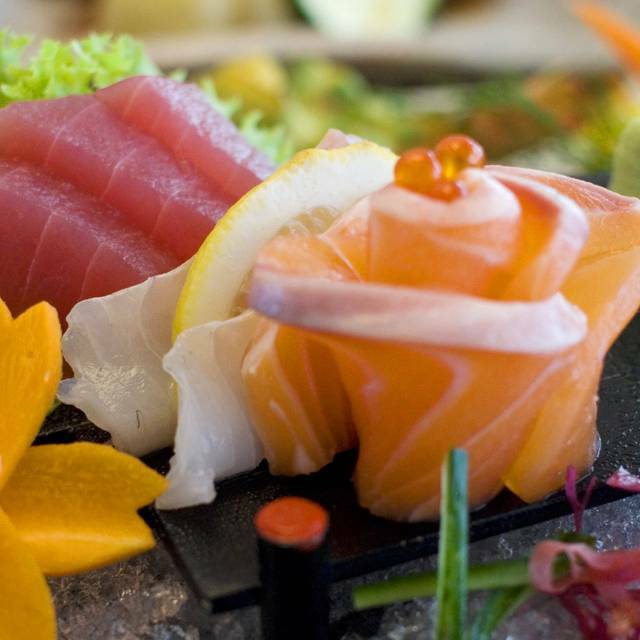 Sensational sushi and sashimi...and equal to that, excellent attentive professional service with a smile. The food is delicious healthy and beautifully presented. The service was excellent. Good value for money. We will definitely return. Food was excellent in taste and presentation but nothing on the menu stood out as unique. The sake and plum wine drinks list is impressive. However it felt a little expensive for what was delivered. The restaurant is more modern than the CBD restaurant was - pluses are that it is spacious and the noise between seating handled effectively but it lacks the atmosphere of the original restaurant with traditionally dressed wait staff. The only negative was trainee wait staff being a bit intrusive. To be honest it wasn't bad but it wasn't great. We had asked for a table with a view but got seated next to loud americans doing business, and got to sit and look at a vacant table by the window the entire night. That was annoying. The service was acceptable by regular restaurant standards, but a little slow by fine dining standards. We had to wait and attract attention to order drinks both times. Food was really good, but the wine selection by the glass was extremely limited/not great. I've been to Sono a few times over the years. The service was always fantastic and we've always ordered the banquets. Last night we decided to have ala carte and we ordered a large raw sushi plate (14 pieces) but they weren't all raw sushi. We had two pieces of egg, one avo sushi (?!? ), two pieces of tuna cucumber sushi. 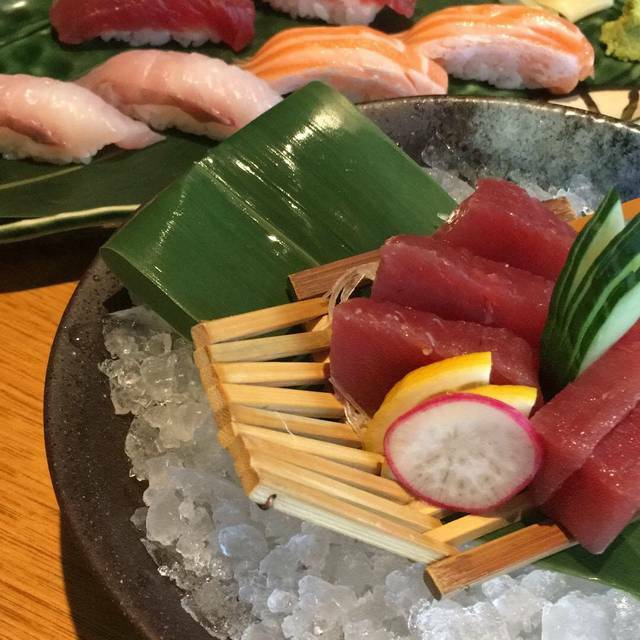 It should not be listed as a raw sushi plate if it's not raw or sushi. But I loved the rest of the dishes, especially the cod, which was phenomenal. Extremely happy with the meal and service. Will definitely go back. The food is excellent as is the service. This is our third visit and each time we have enjoyed the degustation menu. On this visit we had a four month old and a pram and this was catered for exceptionally well. Our four year old was also welcomed and provided with suitable children's bowl and tumbler - clean and with stars. The individual dessert turned into a birthday special with the addition of 'Happy Birthday' written in chocolate on the plate and a sparkler added. My favourite restaurant in Brisbane - the food, service & wine list is always outstanding. Excellent service and food and good atmosphere. Best Japanese food I've had in Australia. The restaurant, staff and service are fantastic. Huge and delicious food selection. Went the extra mile and (unaware to me) even brought out some matcha ice cream with a sparkler for my birthday. Thank you so much! Will be back here again sometime soon! Very disappointed. When booking asked for a window table to enjoy beautiful river view for special 45th wedding anniversary lunch. View was the complete side of an old cruise ship with the boarding passengers filing passed our table for the duration of the meal. No warning provided for the unwary during the booking service. Would have chosen to go elsewhere on this occasion. Very unfair of restaurant not to advise in reservation confirmation email. We are regulars to Sono and always get the Tasting course with paired wines. This time we took along friends from Sydney. They loved the food and experience as much as we always do. There was a delay between the wine & food for a particular course (which doesn't usually happen). The restaurant was very busy which may have caused the delay. We mentioned this to our waiter Stuart (who was fabulous) and he fixed up the issue and from then on everything was like clock work. Fantastic dinner out with my partner of 17yrs celebrating the next step in our lives. Beautiful food, great service, fantastic wine options. Highly recommend this restaurant. One of our favourites! Absolutely stunning restaurant. This is a very special restaurant that provides incredible service and quality of food. They we do thoughtful for my partners birthday and wrote happy birthday on his plate and sung for him. Every single waiter and waitress, cheif and admin were so lovely and respectful. Didn’t have to wait for our food either! I love Sono. It never fails to deliver. The food is amazing and the spot is gold. Good food and great view. I had a nice time with my BF. We had relatives visiting from the UK and had the Gion Banquet. It was superb and the presentation was faultless. The wait staff were wonderful without being intrusive. My partner said it was the best meal we'd had in the last year. I keep thinking about it and look forward to returning there. The only drawback was the cruise ship that was blocking the river view, which of course is out of control of the restaurant. Incredible food - could have eaten the entire menu. Food was good quality Japanese. We ordered the Gion Banquet, it had a good selection of all your traditional favourites. The negative for us was that we dined early because and because they wanted the table for a second sitting our food was rushed out and so we felt compelled to eat quickly without the opportunity to savour and enjoy it. If we go back I would want to negotiate a longer table slot and ask the staff to allow breaks between dishes so we could enjoy it. Have been going to sono for years never disappoints. Perfect restaurant with amazing food, higher price range but very worth it. We will be back soon to try some more delicious food. Poor service an not the best quality food... definitely not as good as my prior visits. This restaurant is superb in every way! It was amazing time we had at Sono Restaurant! We were there for my birthday dinner. We ordered Zen Courses and it was amazing and and ambience was great! They also gave me a sparkling stick on the dessert. food and service were excellent. We had the Degustation Menu for my Partner’s 50th Birthday and it was beyond anything we could have expected. Well worth the money we paid for such a dining experience. food very well presented, full of flavour, delicious and appetizing. Table service excellent, very friendly and helpfull. Meals are a good portion size and wide choice. Always leave very happy and full. 10 courses with 10 different Sake complimenting each dish - perfect. Sono is a great restaurant we return to for special occasions and meeting up with friends. The wait staff are lovely and attentive and there is always plenty to take in when dining here. 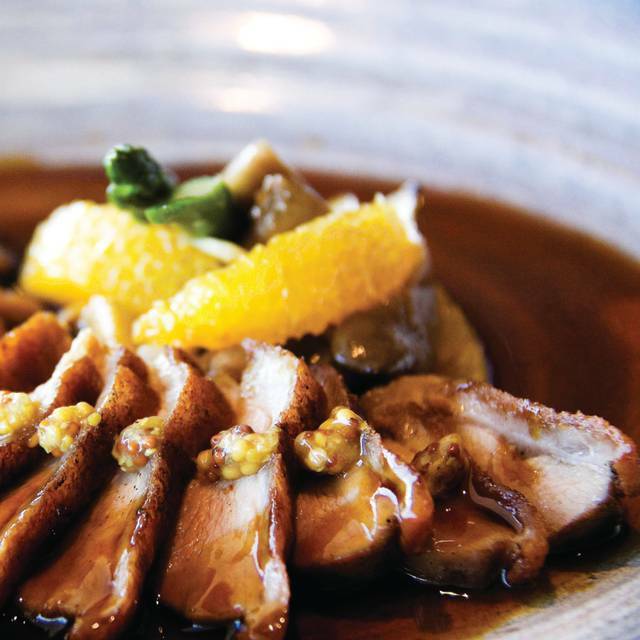 Extensive food, teppanyaki, wine and sake menus mean there is always something new to try. No waiter add water for us initiatively. When we ask questions, the waitress（who is tall and a little bit fat, with slanting bangs) was answering with walks, no patient. Not very happy experience.